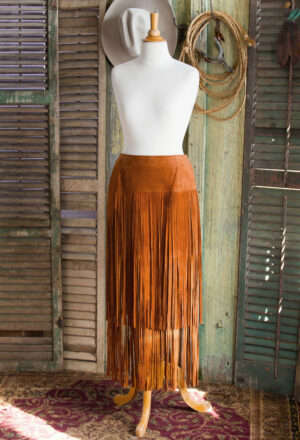 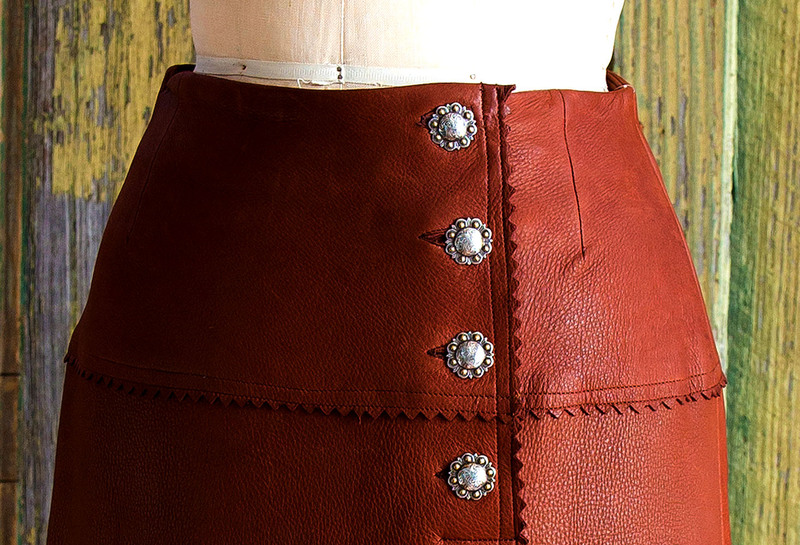 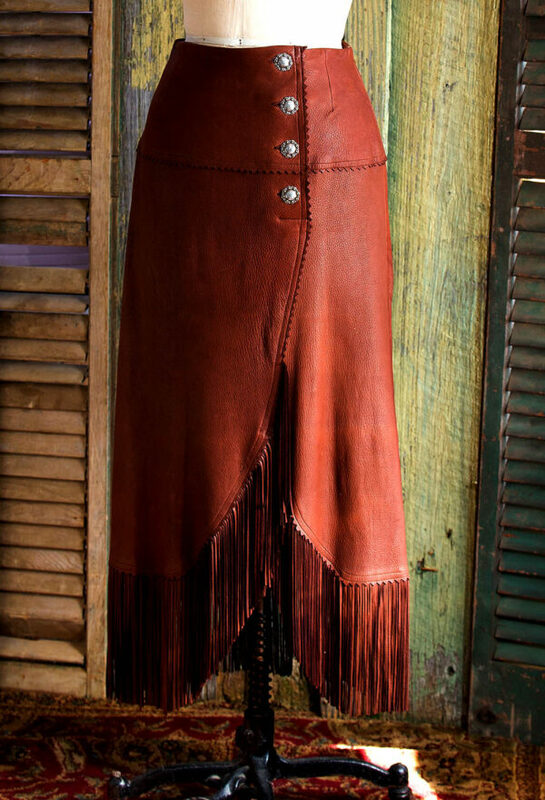 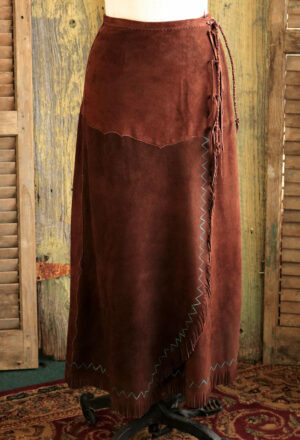 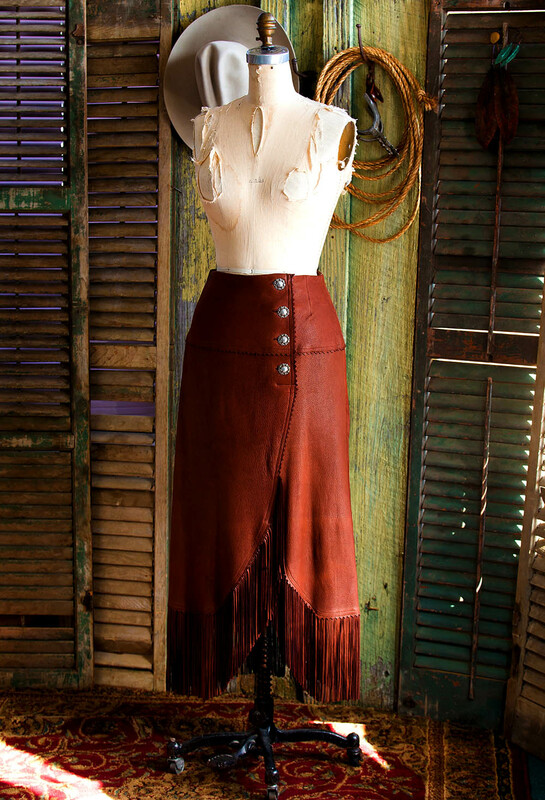 Buffalo Skirt in Acorn Deerskin with a Native American feel is a faux wrap that creates a scalloped fringe hem that closes with 4 pewter buttons. 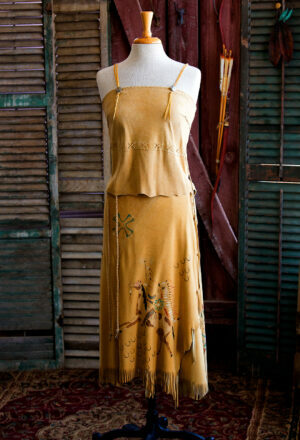 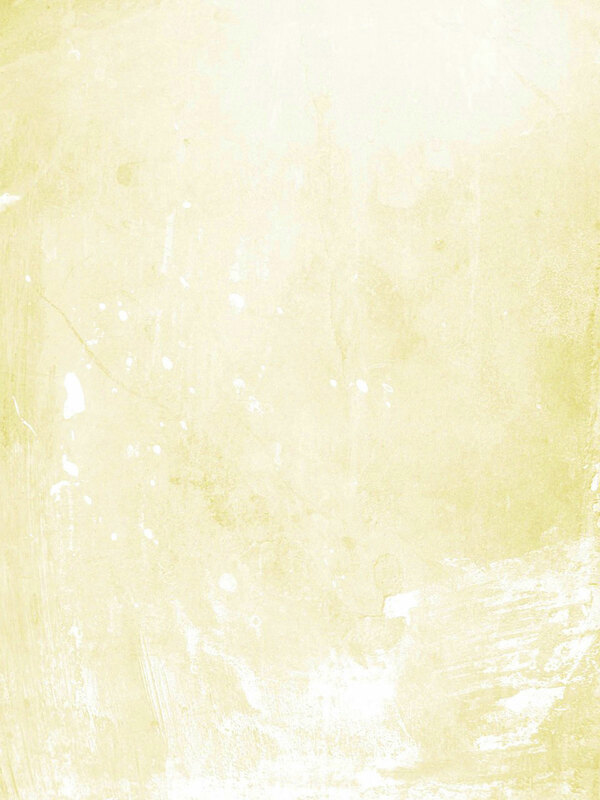 The yoke at the high hip and hem are carefully cut with a zig zag edge. 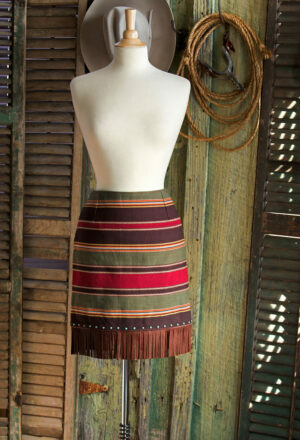 The hem is 26 inches long plus 8 inches of fringe.